Located in West Arlington, Vermont. 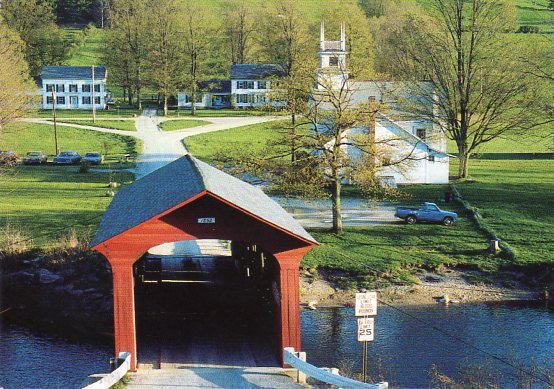 A Town lattice bridge built in 1852, its 80 ft span crosses the Battenkill River. The former home of artist Norman Rockwell is also seen in this view.